Giacinto Benotto was born in 1907 in Piemonte, was a successful Italian bike racer and founded Cicli Benotto in 1931 in Turin, Italy (at age of 24). In 1948, Giacinto Benotto had read the news about newly discovered oil in Venezuela and thought it a good opportunity to bring cycling there. Eager to expand into emerging markets he took his brother and 200 bicycles with him on a boat and headed towards Venezuela. At first he encountered opposition in Venezuela as he was told they “drive Cadillacs” not bicycles, but it wasn’t long before he began getting popular press excited about the Benotto bikes. The Benotto brand is affirmed in Italian cycling history as a guarantee of traditional craft with the passion for a totally custom approach. 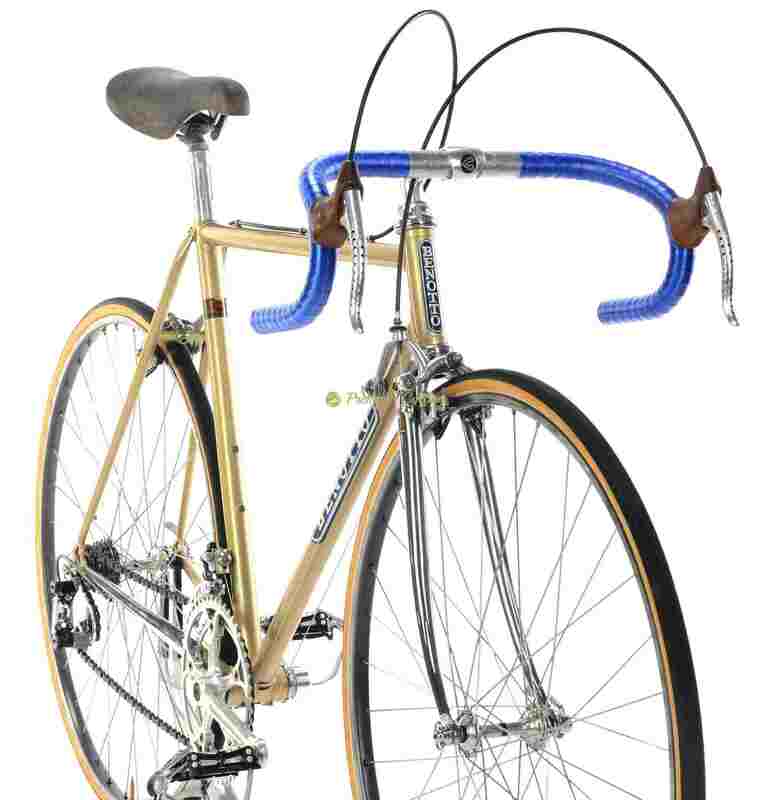 The 1960s, 1970s and 1980s represents the golden age of Italian cycling and Benotto embodied, among other brands, the values of historic framebuilders worldwide. Licinio earned its reputation in top level framebuilding by hand-built meticulous and craftsman’s attention to detail. Benotto is one of the most winning cycling brands of all time. 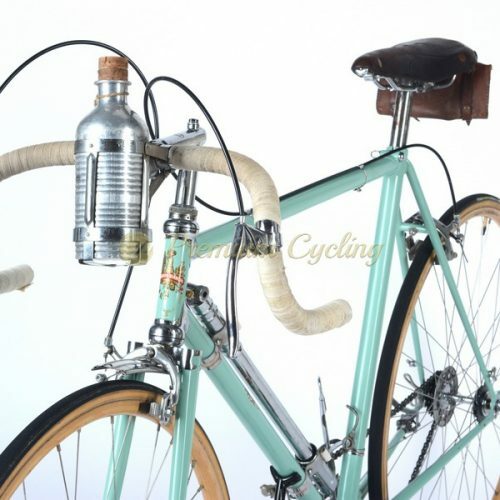 Although they moved in 1953 their factory to Mexico, the professional racing bicycles have been always manufactured in Italy. 11 world championship titles have been won by riders of Benotto bicycles, the most most notable winner being Franscesco Moser. Francesco Moser (The Sheriff) was a dominant Italian racer who won 273 races in his carrer. He was ridding for Italian Sanson Team back in 1977 and they were sponsored by Benotto company. 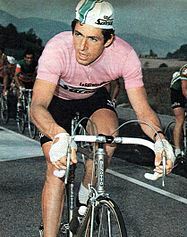 The same year Francesco Moser won World Championship 1977 in Venezuela on Benotto bike. Here we are proudly presenting another racing machine – BENOTTO 3000. The frame is work of art, made of Columbus SL tubing and was the reference by which other racing steel frames were judged back in early 1980s. The frame is featuring the perfection and attention to details to providing the best performance you might expect from early 1980s racing machine. The ”diamante” chainstays, beautiful Benotto fork crown, engravings, cut-outs and with Campagnolo drop-outs are the highlights. Only the best parts are good enough for such a masterpiece: Campagnolo Super Record groupset, pantograph Benotto Cinelli cockpit, Fir rims, San Marco Concor saddle and original Benotto blue bar tape. Love at first sight. The legend. Nice catch for any vintage bike collector. Very likely the frame was made by Ugo De Rosa. Condition: Used, but very good condition. The frame has no cracks or dents and is not bent. Original paint and decals. Some tinny signs of normal use. All parts are in good condition and are working fine.